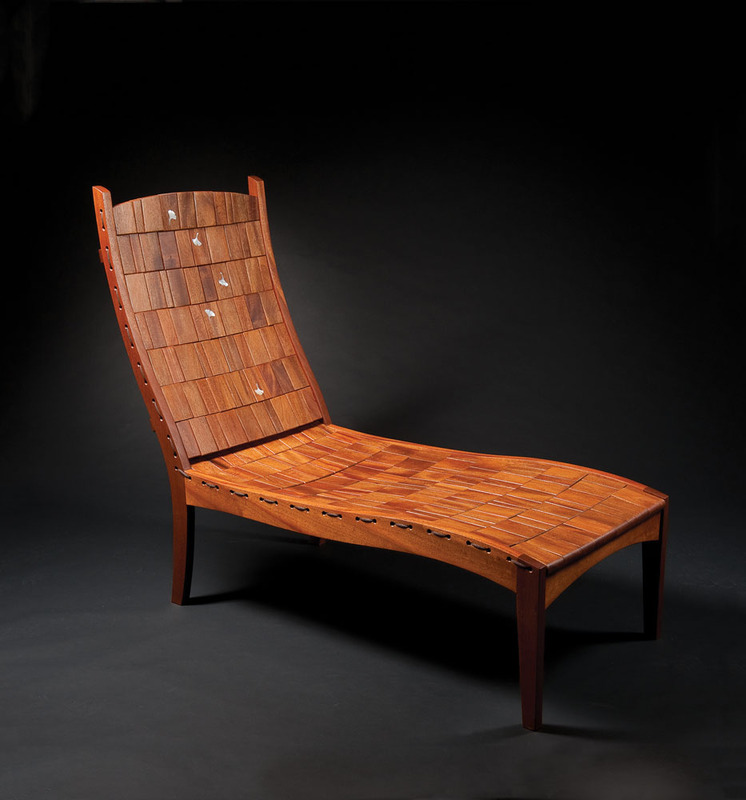 Each block in the seat and back of this chaise, linked by a single steel cable, moves to conform to the body for surprising comfort. Daigre uses various wood species in a patchwork of grain and color, with many pieces offcuts of other projects. Meilinger makes her bags one at a time from canvas scraps discarded by sailboat factories. 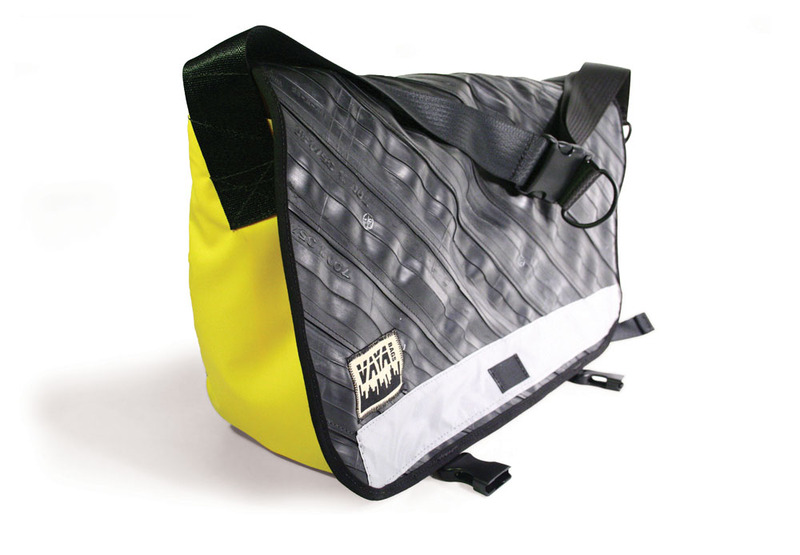 Well-proportioned and rugged, the bags are designed for years of bike messenger abuse, so you can be confident they’ll stand up to the lesser rigors demanded of modern carry-alls. 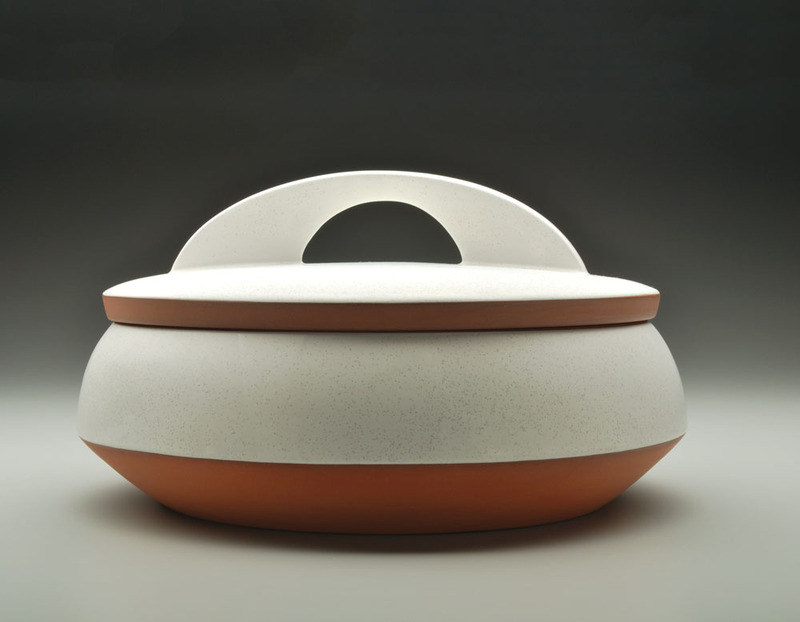 Eshelman’s midcentury-inspired ceramics take familiar forms and combine them with a refined palette of glazes that complement the red stoneware construction. This 11.5-inch diameter casserole is oven-safe and meant for everyday use. 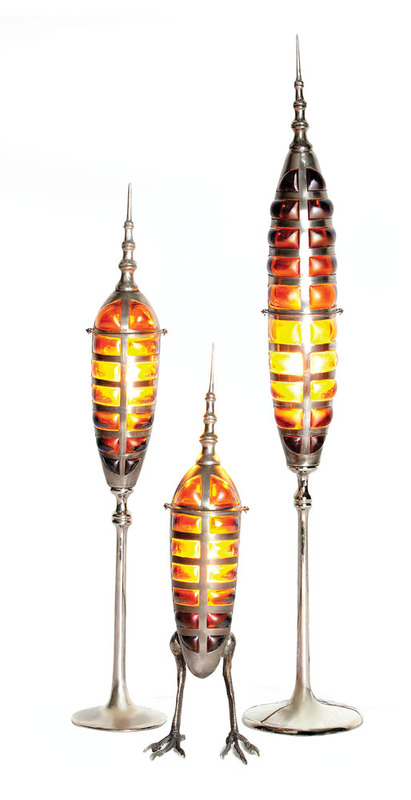 These futuristic metal and blown-glass lamps seem to hail from a parallel universe. Playful yet refined, they will dress up a desktop or an underground lair. 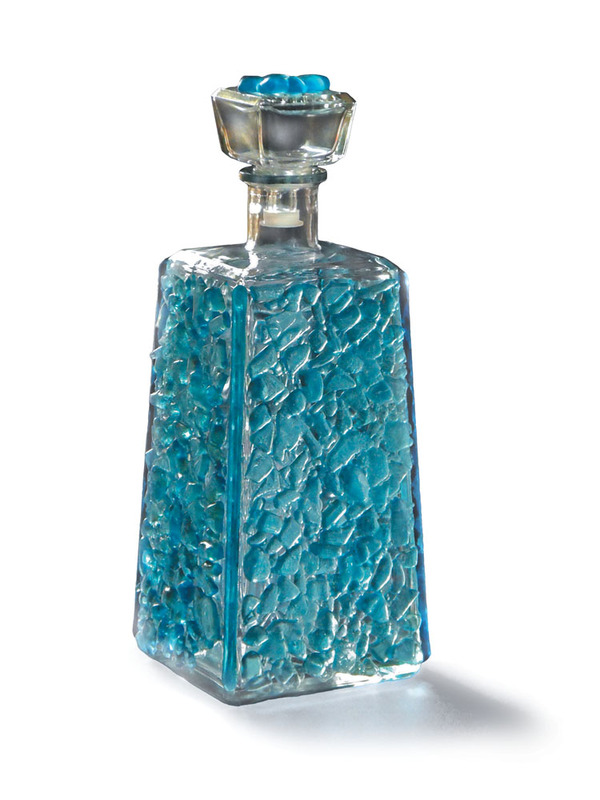 Northup’s decanter of found and recycled glass is made by fusing pieces of Bombay Sapphire gin bottles onto a recycled tequila bottle in a kiln. It’s a beautiful and practical addition to your craft cocktail mixing station. 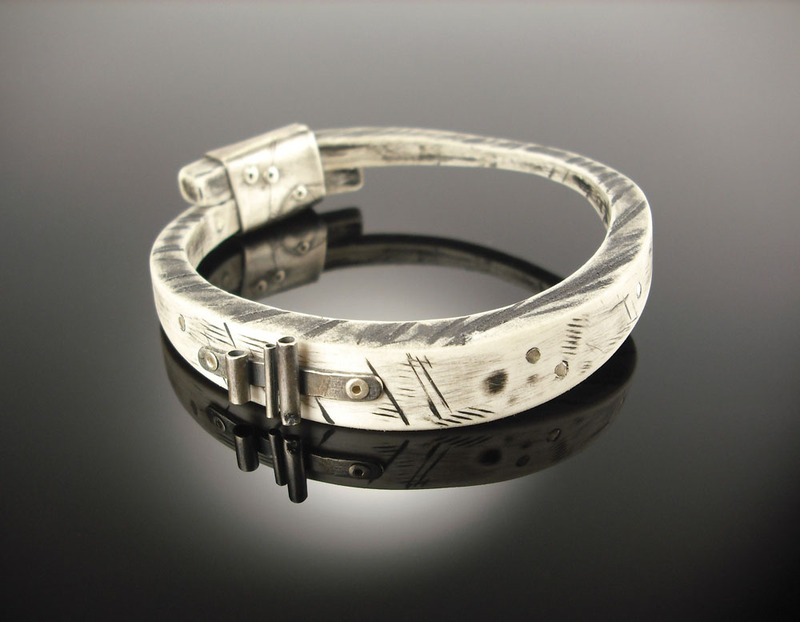 This boldly abstract bracelet is made from oxidized sterling silver, repurposed PVC, and spray paint. Sheppard oxidizes the silver with liver of sulfur, then paints and sands the PVC to achieve a bone-like look.